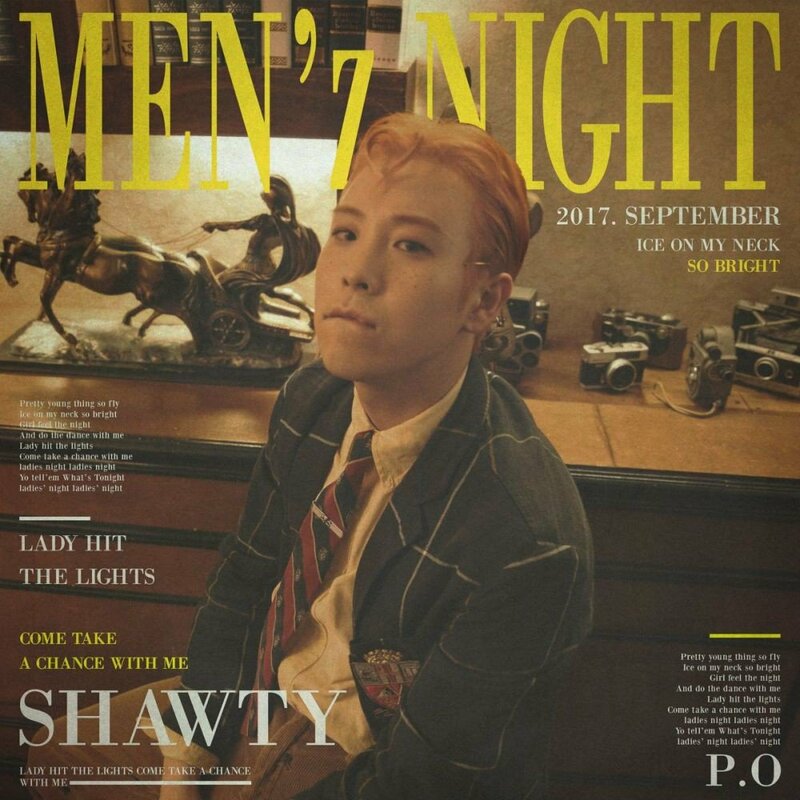 On September 27th we saw the first official solo release of Block B sub-rapper P.O entitled, MEN’z NIGHT. Becoming the fourth member of Block B to officially go solo, P.O is among a group of soloists who each have their own unique color. But how will P.O fair in setting himself apart from Zico, Kyung, and Taeil? Smooth vocals and snapping is what introduces us to this track that undoubtedly possesses a certain funk and flair. From there, things only gets better. There’s very little about this track that is unlovable. It’s pure, feel good R&B/soul, and it’s the kind of music that just makes you want to dance. This track does have a rather clear influence however; it’s very much inspired by Bruno Mars’ 24K Magic. So inspired, in fact, you can even hear some sampled ad-libs from the song in this track (see 0:48 and 2:07). Nevertheless, it still has its own uniqueness to it as well. And it’s the kind of track that will undoubtedly stay a jam, for it’s the kind of music that seems to be timeless in it’s appeal. This track is also important in establishing the kind of producer P.O has blossomed into. We saw P.O produce tracks with a similar sound in Block B’s sub-unit Bastarz, where he worked with GroovyRoom to give us Selfish and Beautiful Girl and That’s Right. This track harps back to that sound, giving P.O his own unique color as yet another music-producing Block B member. While Zico is known for his versatile (though mainly hip-hop) sound, and Kyung is known for his cheery, light pop, P.O is well on his way to establishing himself as an R&B/soul producer; and here’s hoping next time we can get an album with tracks this good.